Description: Designed with a round profile and a clean architectural look. This versatile ceiling pendant defines a sophisticated modern aesthetic. 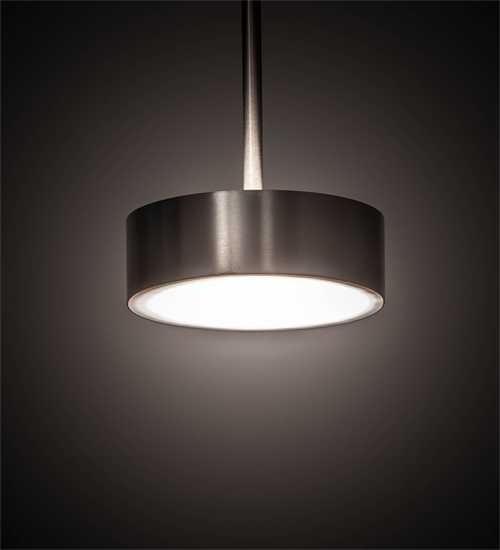 The Satin Nickel finished shade is designed with a Statuario Idalight bottom diffuser. The shade is complemented with hardware in a matching powder coat finish. Handcrafted in our 180,000 square foot manufacturing facility in Upstate New York. Available in a wide range of custom choices including various designs, colors, and sizes. Dimmable energy efficient lamping options offered. UL and cUL listed for damp and dry locations.